The alcohol industry has been misleading the public about the real link between alcohol and cancer, with tactics similar to those used by the tobacco industry. This is the finding from research published today in the Drug and Alcohol Review journal. The misleading information is being passed off as health messaging to a public largely unaware that it’s coming from the industry itself. For nearly three decades, we have known cancer risk increases with alcohol consumption levels, on a dose-to-response basis. That is, the more we drink the greater the risk. Back in 1988, the World Health Organisation’s cancer research arm concluded that alcohol consumption was a group one carcinogen – a direct cause of cancer in humans. In Australia in 2010, about 3,200 cases of cancer were attributable to alcohol consumption. And it doesn’t matter if you’re swilling shiraz at the Mosman Park Dinner Society or downing lager at the Bullamakanka Darts Club, it’s the alcohol, not the type of beverage, that does the damage. The [alcohol industry] appears to be engaged in the extensive misrepresentation of evidence about the alcohol-related risk of cancer. These activities have parallels with those of the tobacco industry. distracting or diverting discussion away from the independent effects of alcohol on common cancers, such as mentioning alcohol is one of many causes. Breast and bowel cancer appeared to be particular targets for this type of misrepresentation. The study assessed key messages provided by 27 organisations run, funded or controlled by the alcohol industry in English-speaking countries. 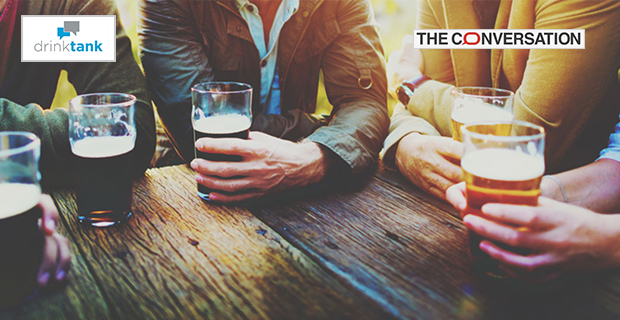 Known as social aspects and public relations organisations, these bodies seek to shape consumer messaging about alcohol and seem to be gaining increasing resources and prominence. 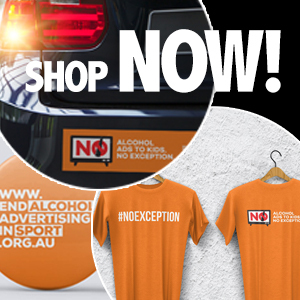 One example of such an entity is the International Alliance for Responsible Drinking. The research paper states that its members include some of the world’s leading beer, wine and spirits producers. The Australian example included in the study is DrinkWise. Its 13-member board includes six alcohol industry representatives from groups such as the Distilled Spirits Industry Council of Australia, the Brewers Association of Australia and New Zealand and the Australian Hotels Association. DrinkWise says its “primary focus is to help bring about a healthier and safer drinking culture in Australia”. A recent survey showed that, of the one in two people who had heard of DrinkWise, only around a third (37%) knew the alcohol industry funded it. Drinkwise’s message on alcohol’s impact on cancer opens by saying alcohol is “one of a number of factors that contribute to the risk for developing certain types of cancer”. This is true. But some might consider this “distraction”. Again, technically true. But it avoids the fact low levels of consumption lead to low levels of risk increase. The research out today classified this as “distortion”. The way information is framed is essential to the message people take from it. And there’s little doubt the alcohol industry are masters of communication. Information such as that given by DrinkWise may invite a drinker looking to avoid the thought their own drinking might increase their risk of cancer to think: “but other things are more important causes of cancer” and “I am not a heavy drinker over a long period of time so I am OK”. Conveniently, “heavy drinker” is not clearly defined. Too few people know alcohol is a significant contributor to cancer, and this is a problem. A survey conducted in 2008 in Western Australia found over 55% of adult women, when prompted, recognised a link between alcohol consumption and cancer risk. In the same survey, around 42% of women reported believing red wine consumption helped to prevent cancer. A more recent national survey found 53% of adults linked alcohol with cancer risk. And funnily enough, just over half (52%) of those drinking at high or very high risk levels did not perceive their drinking to be harmful. In 2010-11, the WA government ran an education campaign to show how alcohol increased the risk of breast cancer. This improved community awareness of the link from 62% to 87%. It also led to more women reporting the intention to reduce their drinking. Before the campaign, 10% of those who drank fewer than two standard drinks per day reported they intended to reduce drinking. This rose to 25% after seeing the campaign. Among those who drank more than two drinks a day, the figure went from 28% to 38.5%. If these effects play out in the wider community through a national campaign, it may well result in a meaningful reduction in alcohol sales. Obviously, this is not in the industry’s interest. Cancer is the most feared illness. This is particularly so for middle-aged and older people who see their peers increasingly getting cancer diagnoses. And yet new research shows people in the baby boomer generation are the group least likely to be reducing their consumption. Research on health warnings on alcohol labels suggests messages about the link between booze and bowel cancer have the greatest effect on making drinkers think twice. So should we be surprised the industry selling the product is keen to muddy the waters about what is a clear connection between drinking and cancer? For too many people, the alcohol and cancer story is new news. The more we drink the more we increase the risk of cancer. This is another inconvenient truth to add to the list. But we must all have the information to allow us to make the choice. And the alcohol industry is clearly not the best source of that information.